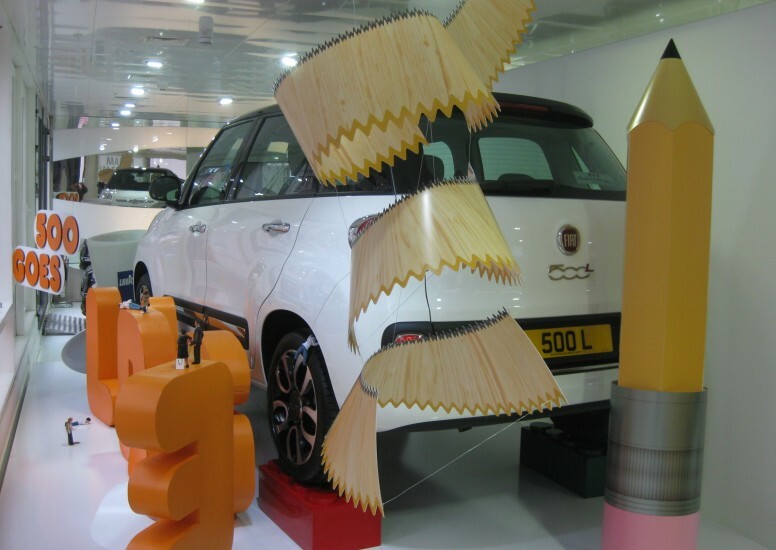 We have just landed this Window Display to coincide with the launch of the Fiat 500L working in collaboration with krow Communications. krow are responsible for the Italian car brands above the line advertising campaigns including the recent hilarious ‘Motherhood’ campaign which went viral in a matter of days! This visual merchandising launch was for the Marleybone flagship dealership in London. Working closely with Krow on the designs we played on everyday large objects to accompany the ‘500 goes large’ strapline. 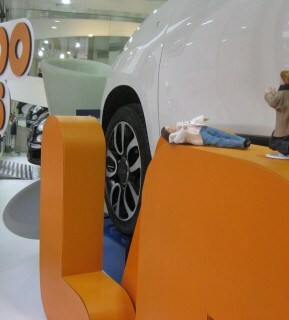 The car was showcased on a glossy white plinth and raised further on mock Lego bricks which were a stand out feature. 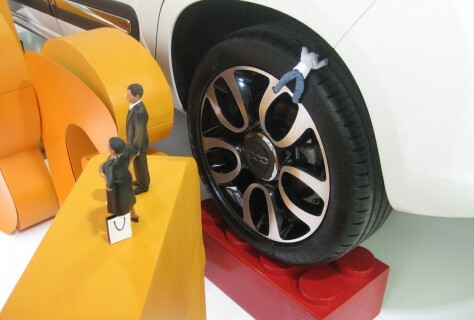 Small model people were arranged in on and around the car in various engaging poses. The end result was a fantastic, cheeky window display which fitted in with the brands personality perfectly!